Carifest week turned out to be a fantastic one with all the events happening, including the parade, park and of course the official headliner, Skinny Fabulous out of St.Vincent making his appearance. 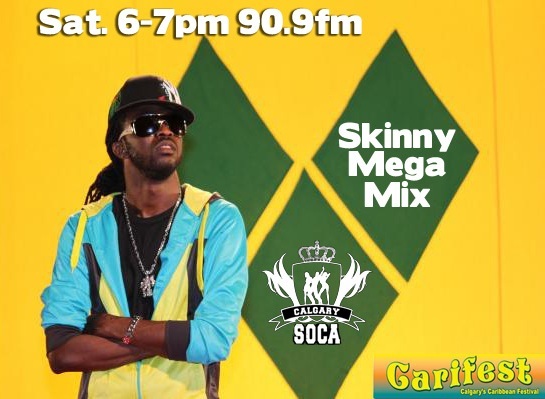 While Skinny was doing his thing at the park, the Carnival Mix moved into its new slot on 90.9fm. We dedicated the first show in the new slot to the festival and a mix of the BEST of Skinny's music. Enjoy!